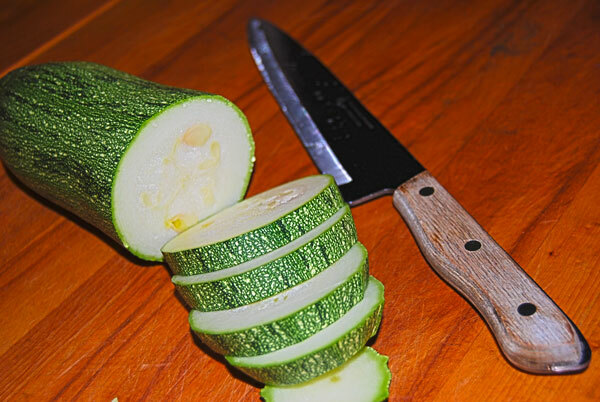 We have an abundance of squash coming from the garden right now, what to do ! I started digging through Pinterest to see if anything looked good (honestly I am not a fan of squash, but my gardening hubby is). So, I stumbled across a few promising recipes. This one comes from Kalyn’s Kitchen. 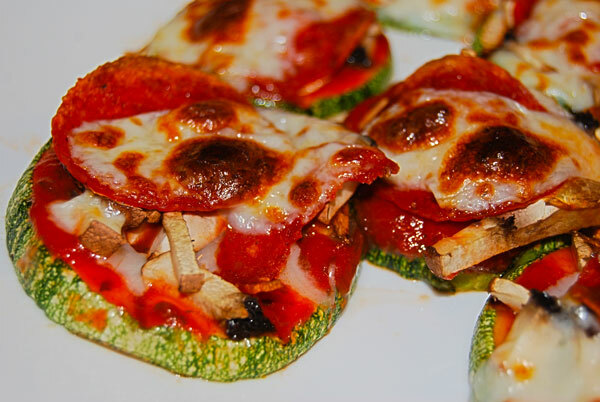 The end product is pretty darned tasty….and for those of you missing pizza while low carbing, this might hit the spot. I grilled my zucchinis, and had to store in the fridge while I waited for my cheese to defrost (you can buy mozzarella on sale and freeze – it does fairly well). 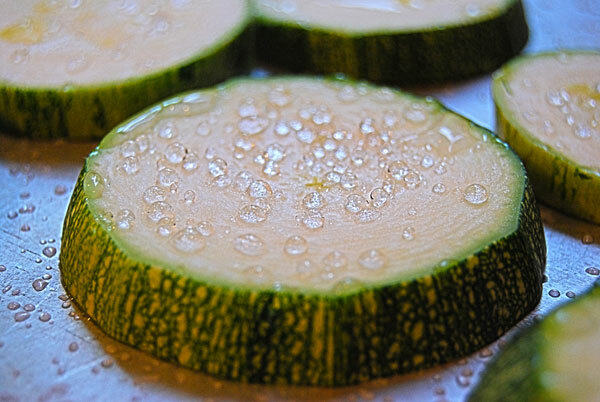 Lay the zuke rounds on a baking pan, and sprinkle both sides with Kosher salt. Let sit for about 30 minutes. It’s amazing how much moisture you will extract. Pat dry with a towel. Light Barbeque, and set to high. BBQ the zukes until you get nice grill marks, turn, do the same for the other side. 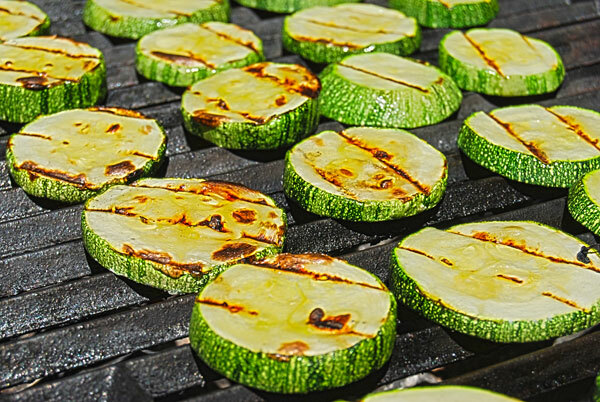 If your BBQ is super hot/dry, you can spritz the zukes with a little olive oil before placing on the grill. 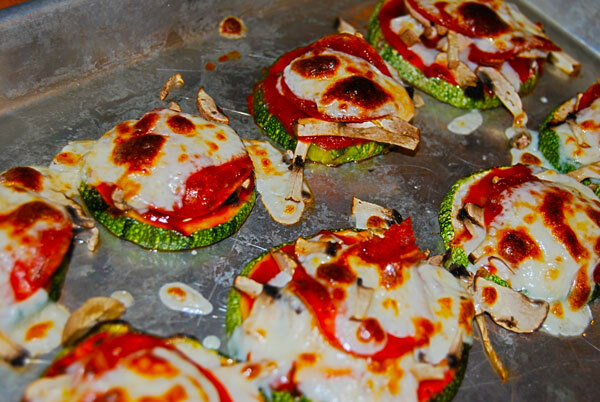 Lay your grilled zukes out on a baking sheet, add the pizza sauce, mushrooms, pepperoni, and cheese to each mini round. Broil for about 2 minutes – they are done when the cheese is bubbly and slightly brown. Makes one serving, but can easily be adapted to make two entire sheet pans, AND, you can add YOUR favorite toppings.